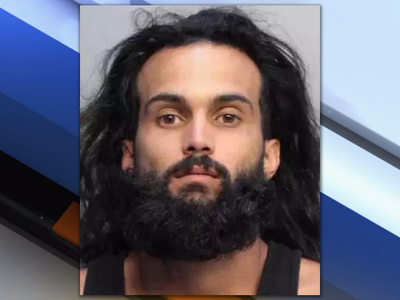 MIAMI BEACH, Fla. (AP) — A Florida man faces a murder charge in the death of his girlfriend’s 3-year-old daughter. Dennys Llopiz was arrested Monday and is being held without bond, three days after the child was found unresponsive in their home. She died Friday. The Miami Herald reports the 27-year-old Miami Beach resident told investigators several stories about the girl’s injuries, including that he found her unresponsive in the bathtub and that she had fallen on the rocks while fishing at night. The girl’s mother told police she didn’t go fishing. Miami Beach police spokesman Ernesto Rodriguez told news outlets that what Llopiz told police “wasn’t consistent at all with the Medical Examiner’s autopsy.” The autopsy found the child died of blunt force trauma. A lawyer isn’t listed on jail records.